Perfect Keto Boosted Coffee with MCT Oil Powder. Get a boost of natural energy in your morning coffee. I’ve been changing up up my morning coffee routine these days. One of the things I haven’t loved about my boosted coffee variations in the past is that awful oil slick on the top of my cup once the ingredients settle. You know, on the rare occasion that I don’t drink my coffee like the world is actually ending any second. Even after I use my milk frother to get it nice and creamy, it still settles and separates again if you don’t drink it fast enough. One of the ways I have been able to counteract the oil slick is by switching over to an MCT Oil Powder instead of the oil. 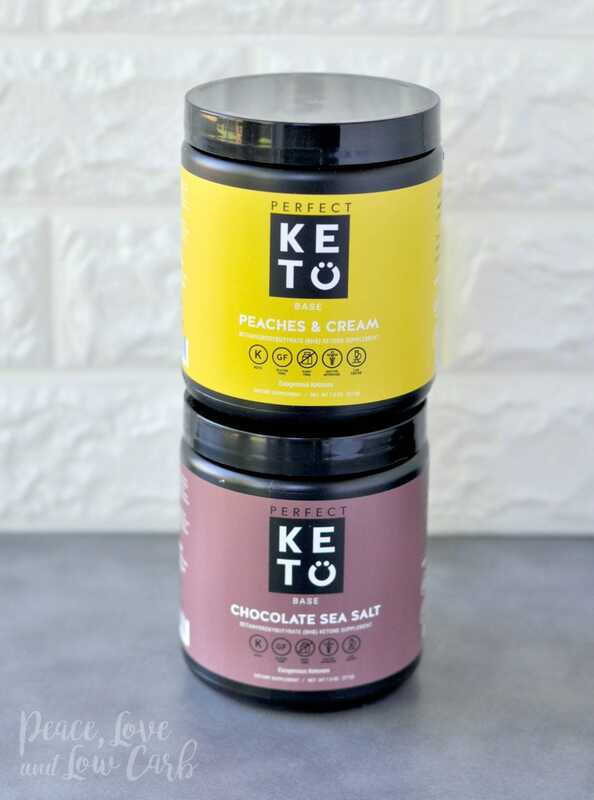 I found an awesome company called Perfect Keto that makes it in a powder form. Not only is it zero net carbs per serving, but it is gluten free, keto, and dairy free too. Before I get too far into what MCTs actually are, let me tell you a little bit more about the convenience of MCT Oil Powder versus MCT oil. 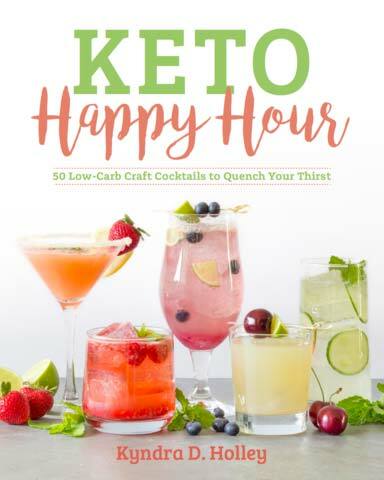 “Medium-chain triglycerides (MCTs) have become increasingly popular as people are learning more about the health benefits of nutritional ketosis, which is achieved by replacing net carbohydrates (total carbs minus fiber) with high amounts of healthy fats and moderate amounts of high quality protein. The disastrous “low-fat diet” dogma of the last half century has led to a devastating drop in most people’s intake of healthy saturated fats, including MCTs, as most people have bought into the erroneous assumption that saturated fats are unhealthy and will raise their risk of heart disease. Now let’s get to the good stuff… COFFEE!! If you google terms like “Is Bulletproof Coffee Good For You?”, “Benefits of Butter Coffee”, “Should I drink Keto Coffee” or “What is BPC?” You will likely get a mixed bag of reviews. Some sites will tell you to drink it everyday and that it is a game changer when it comes to weight loss. Other sites will tell you that ingesting that much fat will make you fat. You will even find the middle of the road reviews that will tell you that it tastes good but really isn’t necessary. I find that it is a matter of personal preference. What works for some may not work for others. Every body is different. For me personally, I don’t like to eat first thing in the morning. I’m just not hungry. Without intentionally setting out to do it, I began intermittent fasting as part of my ketogenic lifestyle. I just started listening to my body and only eating when I’m hungry. Most of my eating happens in an 8 hour window. I typically work on a 16/8 IF schedule. This means that for 16 hours – typically about 8pm until about noon, I don’t eat anything. Then my meals take place been 12pm and 8 pm. If I am hungry outside of that window, then I eat. I listen to my body… and YOU should too! Well, you should listen to your body. I’ll keep listening to mine 🙂 Typically my first meal of the day is a butter coffee or boosted coffee as I like to call it. It keeps me fueled for my morning workout and leaves me feeling sated until lunch time. My routine tends to change by what sounds good, but my coffee almost always contains a big, fat serving of grass-fed butter. Pun intended. From there I will either add coconut oil or MCT oil powder, some sort of flavoring, grass-fed collagen peptides (Read about the benefits) and usually a splash of heavy cream. I mix it all up in my frother and enjoy the creamy goodness along with the boost of energy it brings with it. But lately I have been using this Perfect Keto MCT Oil Powder and I am loving it. It’s not oily, it is portable and it is flavorless and odorless, so really I could get all it’s vast benefits by adding it to just about anything. However, my favorite way to use it is in my coffee. Here is one of my favorite coffee recipes. 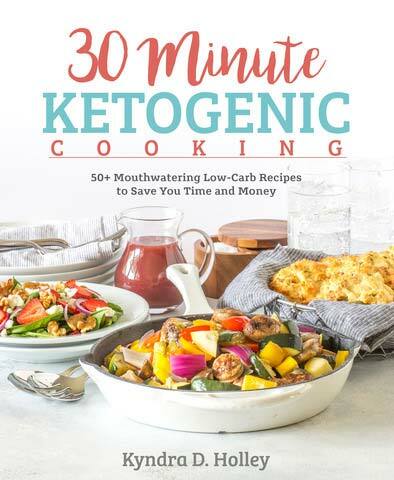 You can grab your Perfect Keto MCT Oil Powder here. Combine all ingredients in a blender or milk frother. Blend until smooth and creamy and ENJOY!! I would use definitely in my coffee and tea, but I would also use it in salad dressings and sauces!! I am looking forward to trying it! I was just about to order some MCT oil from Amazon when I received your email about the MCT powder. I would agree that I don’t like the oil slick when the ingredients separate and this looks like a very interesting product. I would really like to try it. I would add the MCT to my protein shakes. I would use the powder in bullet proof coffee and shakes. I’ve been looking at this for a while….. would love to try before I buy. Big fan of MCT oil! I would use this in my tea or anything that I use my MCT oil for. PLUS it would become a travel companion IF I like it! I’d use it in my BPC for sure! With it being in powder form, I’d say the uses are endless! Trying IF and would like to use this for breakfast. I love my bpc in the mornings! Love my BPC. Can’t wait to try this out! Wow, I would love to try this. My bpc is what keeps me going during the day. I’ve tried liquid MCT oils and I love them but I would love to try this to see if I digest it differently. I’ve been eyeing this for quite some time. Would love to try it out! I would love to try this in BP tea! I will use it on everything! 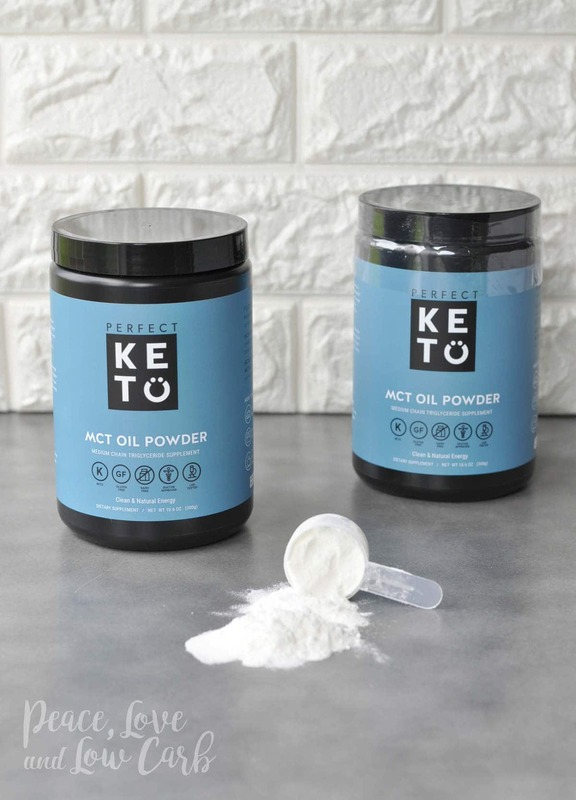 I have tried Quest MCT Oil Powder and enjoy but would love to try Perfect Keto’s version as their Ketone powders are YUM-AMAZING!! I agree, the MCT oil is somewhat gross after it separates. I am very interested in trying out this product. Plus, it helps that on their site, they have different flavored powders to help add to desserts! This is a new product to me! I use the MCT Oil in my coffee and green (keto) smoothies each morning. Would love to try it! I haven’t seen this before. I use another MCT product in my coffee, but would love to try something new. I’d try mmaking BPC again. Maybe less greasy is the key to me enjoying it. Thanks for the chance ???? Your recipe sounds delicious! I would use it to make that yummy coffee. This looks amazing! Would love it for my coffee! I’ve never tried MCT oil or powder before, but I’ve heard so many great things in the keto community! I would love to try this in my morning bulletproof coffee. Yum! Depending on dissolve-ability in cold things, I’d add it (along with my collagen peptides) to my morning iced tea. I love MCT but it is, indeed, messy to deal with especially while traveling. Would love to try the powder! I love my BPC! I’d be curious to compare the MCT powder to both MCT oil and coconut oil, which I use currently. I would love to try this product in my morning BPC! I also have a keto hot chocolate recipe that I would like to try it in! Would love to try this in my coffee!! Definitely coffee. Thanks for all the great info! Thank you for such great information!!! I want to try this in BP broth and BP tea. I agree, the oil does leave that awful taste in mouth, cannot wait to try powder! 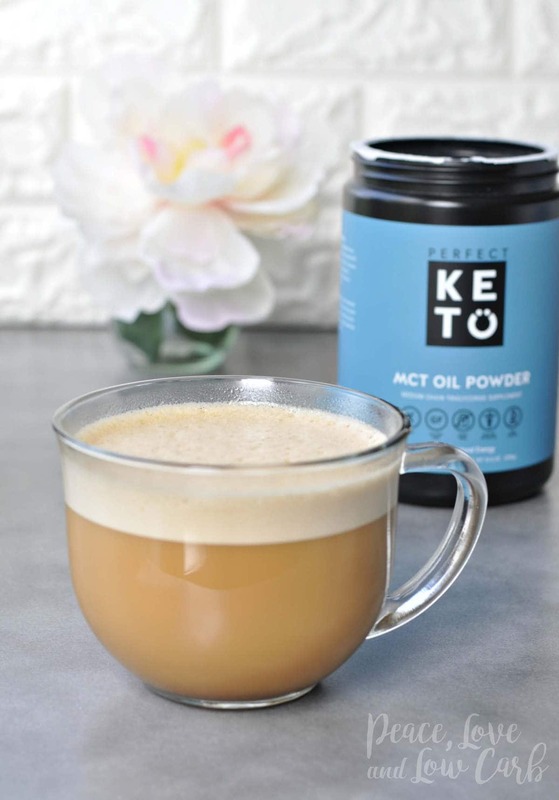 I’m going to use the Perfect Keto MCT Oil Powder in my morning coffee. It’s not BPC but the added fat will be benificial for my keto lifestyle. It doesn’t seem possible to make oil into powder, maybe I’m missing something. I do think a powder would mix with my collagen and BPC better, so I’d be interested in giving it a shot. Thanks for keeping us up on all the latest Kyndra. I have been intered in this coffee, but never really know how to approach it. Thank you for the recipe and the giveaway and links. I am going to try it! I would love to try this in my coffee!! I would love to use the Perfect Keto MCT Powder for the BPC in the mornings. I think it would give a great boost to my day! 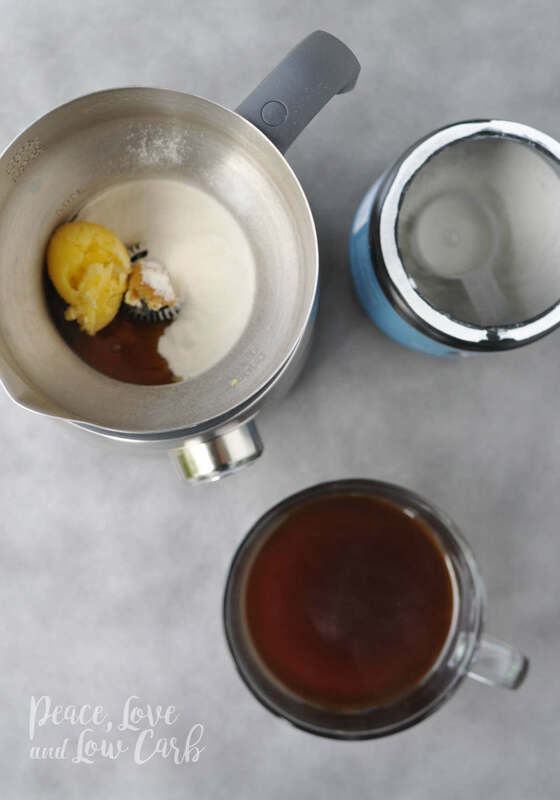 Bulletproof coffee is great, but I find it too much of a fuss to make in the morning somedays. MCT powder would sure cut down on the mess. Might get me back into drinking bulletproof again. I have lost 25lbs since January. Always looking for ways to keep it up while living a face paced Mom life! I would use this MCT Powder in shakes, avocado mousse, and lots of other recipes. 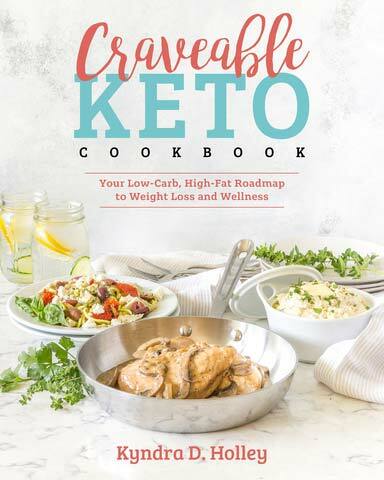 I am an adventurous cook who has lost 73 lbs while eating Keto, so I want to give my body all the advantages it deserves! I’d love to try this in my coffee and protein drinks. I’d also like experimenting using it in my cooking. I would love to try the MCT Powder. I brew a large mug of BPC every morning and am notoriously slow at drinking it. I am constantly running it back to my microwave to break up the oil slick. That works for me, but would love to try the powder! I’m excited to try this for BPC and maybe to add to other things. Not being an oil should make it much easier. I use MCT oil to make mayo because of its neutral flavor. Would love to try the powdered version for coffee and other things. Thanks for all your work. This stuff sounds like s dream come true!! My stomach doesn’t tolerate BP coffee well but with this being powdered I wonder if I could tolerate that better. I would like to try it. This is something I am going to have to try. I love bulletproof coffee but not the film that I said there after a short bit of time. This is something I am going to have to try. I don’t drink coffee, but I’d def add this stuff to my daily smoothie! I would use it in coffee and tea for sure. After that I would experiment with it in baked goods. I would love to try this. Im stuck on a plateau. Have literally spent the past week looking into adding mct to my coffee. Thank you so much for sharing this info. Think I will go with the powdered. I don’t drink coffee any more, but I’d love to try it in my morning smoothie. This sounds like a great alternative to liquid MCR oil! I’d love to give it a try! I love BPCs and it would be nice to have another resource to get more nutrients I need in my BPCs! Love your blog and all the ideas that you take the time to share! Hopefully something like this will help me get back on track…struggling BADLY this last year and really need to get my act together. Would definitely like to try the MCT powder. I’m on the go a lot and being able to take it with me and fix at the office or such would be awesome. I would definitely use it in my BPC. This sounds like it is so much easier than using mct oil. I have never tried a product like this before, but I would LOVE to! I’ve been afraid to invest in a product not knowing if I will like it or, more importantly, if it will actually work for me. 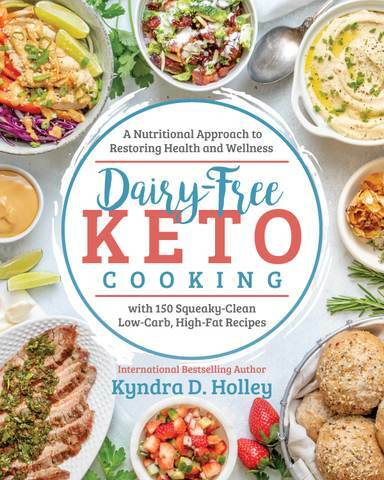 If I won, it would be a great opportunity for me to try something new in the ever growing world of ketosis! I’m so excited!! I’d use it for bullet proof coffee. I haven’t been able to tolerate the separation when using the oil, so I’d love to try the powder! Keep hearing all the amazing benefits, I would love to try this! I use MCT oil in my coffee every morning and have never heard of the powder. This will make things less messy and less oily. My bottle always drips. I will consider buying this when my big bottle is gone. Thanks for sharing! I would use it in my morning coffee and everywhere I can sprinkle it on. I don’t drink bfc because of the oily film so I’m hoping this is better. Thanks for the chance ???? I would use it in my coffee. I am actually wondering how they turn oil into powder though? Cool! I definitely would like to see the difference with the powder vs. oil! I’d love to use the MCT power in anything I possibly can. I had my gallbladder taken out and I find oils hard on my body. I would use it in my morning hot shrinker and in smoothies! I would use this in my coffee. I haven’t tried not tried mct yet. I would use it in my coffee! 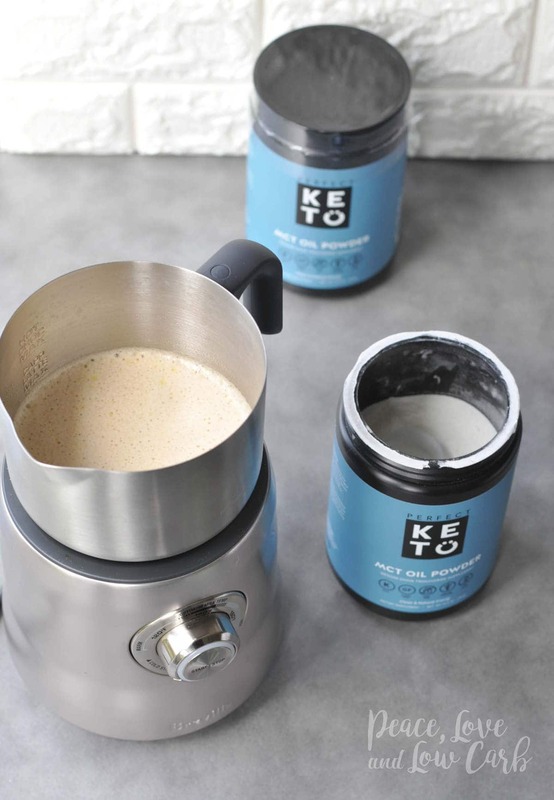 I would like to try the keto powder in my morning coffee. I would so try this in my morning BPC. I don’t care for the oil slick either! Had no idea MCT Powder existed to avoid the oil slick on the top of my daily BPC! Wow–I’m totally on board with giving the powder a whirl! I love my BPC! Would love to try the powder for when we are traveling this summer! Haven’t yet tried BPC, would use the MCT powder for it. I would love to try this for BPC!! I wold use it in my tea & green smoothies. and p.s. – I love your blog and facebook page, never tried a recipe I don’t like. I used to make BPC at least a few days a week. I fell out of the routine of it mostly because it WASN’T enough to keep me satisfied until lunch. I found myself getting hungry within a couple of hours. It’s hard for me to justify the calories in BPC when I also have to eat to make my tummy happy. This would be great to add to smoothies as well as coffee! I hate the oil slick that MCT oil leaves. 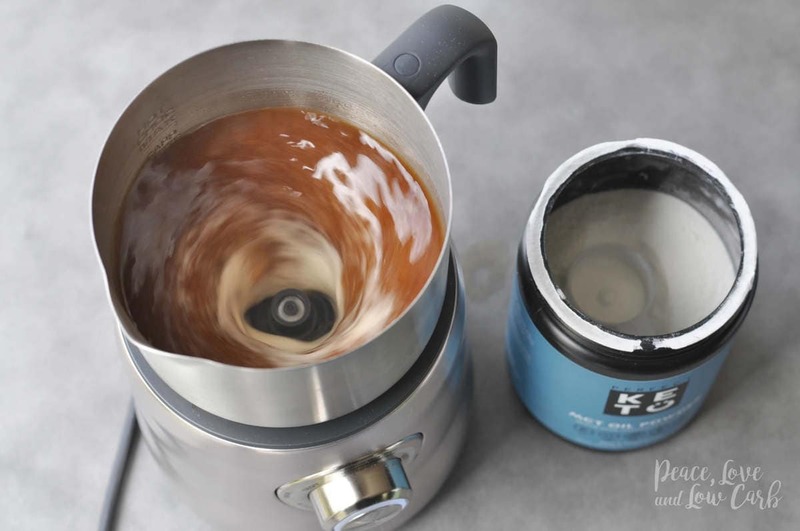 I’ve been using MCT oil for my bulletproof coffee for a couple months now … When I read your newsletter about the powder I was over-the-moon excited! I would LOVE to get to try it! I love this stuff! I’m almost out too so it would be perfect if I won@ ???????????? I’ve been enjoying my BPC with either MCT oil or regular unrefined coconut oil, MCT oil would be much more portable! Travel for work, early mornings for work to get out the door and esrrly morning with kids would be streamlined even further with powdered MCT for my rocket fuel lattes! This is perfect for when I’m traveling and don’t have access to a blender. Will add to daily bullet proof coffee. I would love to give this a go. I use MCT oil in my BPC but its terribly rough on my stomach even in small doses. Being a full-time teacher that goes until JUNE 23 (KILL ME! ), I would love to try this to help keep my energy up. The chocolate sea salt looks divine! Has anyone ever tried using MCT oil when making mayonnaise?